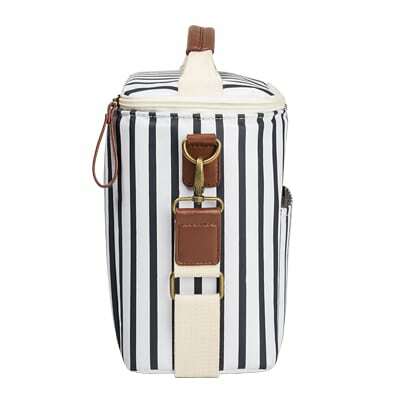 This useful striped cooler is perfect for a warm summer day. 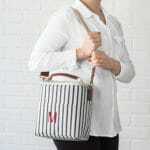 The insulated interior will keep six bottles ice cold! 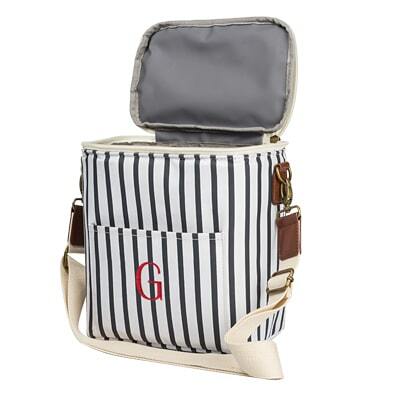 We’ll embroider a set of initials on the front of the cooler for no extra cost! 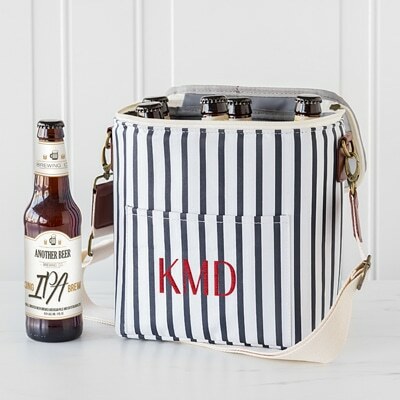 Pack for your next tailgate, picnic, or trip to the beach in style with the Personalized Striped Bottle Cooler. 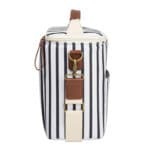 This trendy striped cooler is insulated to keep your drinks cool, and also features vegan-friendly faux leather accents, 600 D Polyester construction, an adjustable shoulder strap, and space for up to six bottles. Easily clean the interior with a damp cloth and dish soap, and simply spot clean the exterior; we will also personalize the front with a single initial or three block initials in red thread (for no additional cost)! 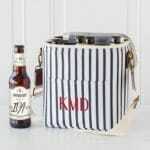 Give one to each of the ladies in your bridal party, but don’t forget to also customize one for yourself. 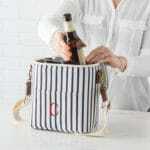 Holds up to 6 bottles. 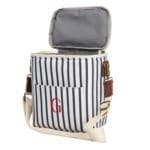 Cooler: 8.75" L x 5.25" W x 9" H.
Adjustable shoulder strap: 45" L x 1.5" W.
Front pocket: 5.25" L x 7" W.
Use a damp cloth and dish soap to clean the inside. 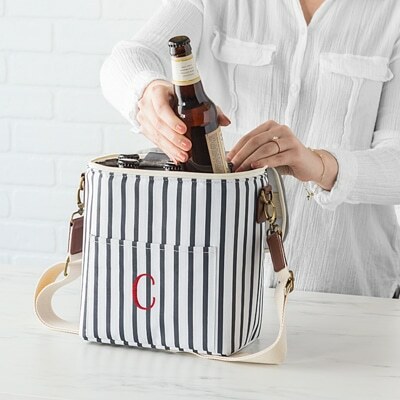 Spot clean and air-dry the exterior of the cooler.